Item ships within 48 hours and comes with free standard shipping! "She reaches high with open hands for the prize. Expectancy and joy flood her face. We are reminded that faith is the outstretched hand that receives the gift." 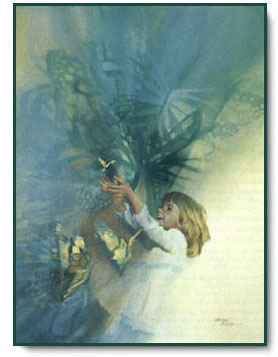 Joy copyright© 1990 by Carolyn Blish.